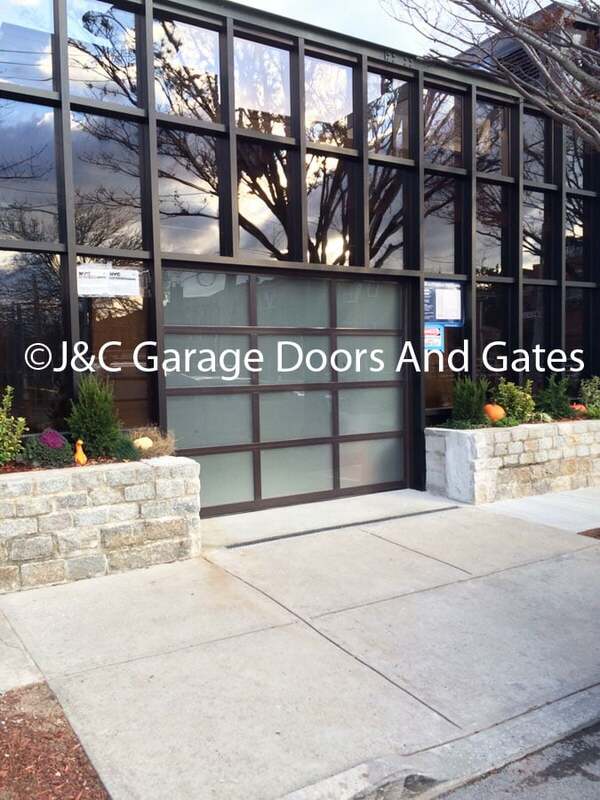 J&C Garage doors provide residential garage door services all over Westchester County New York. We specialize in residential garage door repair and installation, using High quality garage doors parts, designed for the American standard and for Westchester County. When it comes to garage doors repair in Westchester County, we know one thing - understanding the problem, and the cause for the need to the repair of the garage door, can save for you a lot of time and money. That is the reason why each of the garage doors technicians at J&C garage doors of Westchester County, have years of experience in the garage door repair field. So if you live at Westchester County, and you are looking for a reliable garage door company, contact us, and we will do our best to provide you with the fastest and professional garage door repair service, that made us so famous. We believe that a good garage door installation job, start form 2 basic things: A high quality garage door and parts, and a professional installation job. Our goal at J&C garage doors, is always to do our best to provide you a high quality garage door, and the best installation job. We provide free phone consultation, trying to assist you to choose the right garage door for your house. Do not settle for less than the best. When you invest in quality, you are getting quality in return. If you are looking for a cheap garage door installation, that will last for 3-5 years, and that every time you will use the garage door you will know that it is from low quality, please look for someone else, and we say it clear – you will find a cheaper company from J&C Garage doors and gates, but do not be sure that you will find a more professional and reliable company. If you own a residential overhead garage door in Westchester County, you probably want to be strong, reliable, and above all safe for use. No one want to put themselves or their family in danger. And a good and safe residential garage door start from 2 things: a good garage door, and a trained technician to perform the installation. But even those 2 things will not guarantee a door that will work for many years, since there is one more thing: you need to maintain your garage door in Westchester County at least every 6 months. If you would only know how important is the maintenance and the lubrication for the door, you would never ignore that need. Maintaining a residential garage door in Westchester County is not a complicated process, and can be performed by do it yourself. To read more check our post about garage door maintenance in Westchester County. Need residential garage door installation in Westchester County? Live in Westchester County or New York and interested in replacing your garage door? Did you get confused during the search for a new garage door inn Westchester County? Not sure which residential garage door to purchase? We are here for you! With many years of experience in the overhead doors industry, and after hundreds of new garage door installations in Westchester CountyNY, we can help you find the right garage door for you. How to find a new garage door in Westchester County? The amount of the different residential overhead doors in Westchester County is huge. If you just pay attention, you will notice endless amount of different garage doors, with different size, colors, and which were made from different materials. You will probably find some doors that will be similar, and even exact to the type of garage door in Westchester County you are searching for. There are wooden garage doors, hollow doors, glass overhead door, Aluminum doors, insulated doors, one panel doors, commercial door, garage doors with a walk through doors and more. So it easy to get confused through all the options. We have created a list of things to consider when looking to purchase a new residential garage door. We wrote this article for our customers in Westchester County New York, but it can be used for people who search for new garage door in Rockland County, or even a new garage door in Greenwich CT. Since when it comes to new garage door installation, the quality is what make the difference between residential garage door in Westchester County that will last for 50 years with basic maintenance, and a residential garage door that will last less than 10 years. If we will leave the design and the color aside for a moment, what really matter is the quality of the overhead door you are about to purchase. When you are purchasing a new garage door for your home in Westchester County, you are making an investment that will last for many years, and when you purchase quality you are getting quality in return. There are different garage doors brands and manufactures in New York, some of them offer to supply new garage doors Westchester County. Many of them offer high quality doors, but not all of them. Some will offer you low quality doors, and this is exactly what we are trying to help you avoid. The difference between a high quality residential garage door in Westchester County, and a low quality garage door can range between 10-50% of the price. But if you look at it in the long term, while considering the fact that a high quality can last more than 20 years, and with the right maintenance it may never need repairs, you will see that invest some more money in quality, will save you both time and money, and will prevent from you the need for a residential garage door expert in Westchester County to come and fix your door every year. The high quality overhead doors in Westchester County are stronger, better insulated, and will probably last longer. But beside the time and money you will save on repairs, and the need to replace the overhead door much sooner than if you would of purchase a high quality door, the quality of the residential garage door is something you are going to enjoy every time you will use the door. And if you replaced a low quality new garage door in Westchester County with a top quality one, you will see the difference from first use. Another important thing that you must consider on your way to a new residential garage door in Westchester County is the installer. You want a professional installer to remove the old door with minimum damage to the garage and the garage frame, and to install the new door in the best way it can be installed. Whether you are looking for a new garage door in Westchester County, or a new garage door installation in Rockland County, look for a professional installer that may be a bit more expensive than others who offer quick and cheap service, but which eventually going to cost you a lot more. There are many options when it comes to new garage door in Westchester County, so there is no reason why you won’t find the perfect door for your home. Not every new overhead door installations in Westchester County is the same, and not once the installation require certain knowledge and experience, to overcome unexpected issues such as an unordinary structure of the garage, a low head room, and other obstacles that may require experience in installing new overhead doors in Westchester County. What are the prices of a new overhead door in Westchester County? If someone will tell us what the price of a new car is, we will tell him what the price of a garage door is. Now seriously, the price range of new garage doors in Westchester County usually run between 300$-1,000,000$. Ok, you got the idea. There is no one price for a new garage door, just like there is no one price for a new car, it depend on many variables, and each new garage door installation in Westchester County may require certain parts. And if someone tell you that he can install a new garage door for you for 399$, you should know that it will not end with 399$. This is what we at J&C try to avoid. We will never give a low price over the phone just to get the customer to meet with us. This kind of behavior can stain the reputation that we worked hard to build. And as you can see on our Yelp page our customer’s appreciate high quality service. If you choose to buy a quality insulated overhead door from a known garage door contractor in Westchester County, you are getting 2 things: The first thing is a door that will serve you and last for many years. And a door that will operate smoothly and silently, and which its quality you will notice from first use (As long as it will be maintained on time). So we prefer to use the term “invest” instead of “spend”. If you try and save money, buy purchasing the cheapest overhead door in Westchester County, you will get a cheap door in return. It will probably last for 5 years, and may need repairs during that period. We avoid installing the cheap garage doors in Westchester County. We have decided that we prefer to refuse accept the job, than to put the signature of J&C Garage Doors on a garage door from a law quality. You may find a garage door company who will be glad to install a cheap and low quality garage door for you. But if you are looking to install a good and high quality door in Westchester County, which is going to serve you and your family for many years, we welcome you to contact us and to get a new residential garage door that will look like new even after 20 years. Is it better to repair or to replace residential overhead door? The way we see it, to try and answer that question over the phone, without physically inspect the residential garage door, is irresponsible and definitely unprofessional. There are many variables which should be calculated, and first one is the safety. We usually consult with the customer, and give our professional impression whether to repair or replace residential garage door, but if it is a matter of safety, we will not repair the garage door, and we will either replace it with a new one, or we will pass the job. We have a reputation in Westchester County, and we will never pass any safety rule for a job. If the repair will cost over 60-70% of the price of a completely new residential garage door in Westchester County, we may advice you to consider replacing the door (Of course that the condition of the garage door matter). If the panels of the garage door are rotten, and repairing the door will only be a temporary solution, we may recommend to replace a residential garage door. If a garage door is not safe for use, even if we will repair it, we will recommend to replace it. If a garage door in is old, we may recommend to replace it and to use a qualified garage door technician in Westchester County for the installation. If an overhead door in Westchester County does not fit the open where it is installed, we may recommend to replace it. If an overhead door in Westchester County is installed in the front of the house, and it is in bad condition, you may want to consider replacing it.